Megaprint has been a client for many years. We worked with Jay Buckley to develop a whole new ecommerce ordering system for his postersession.com website. 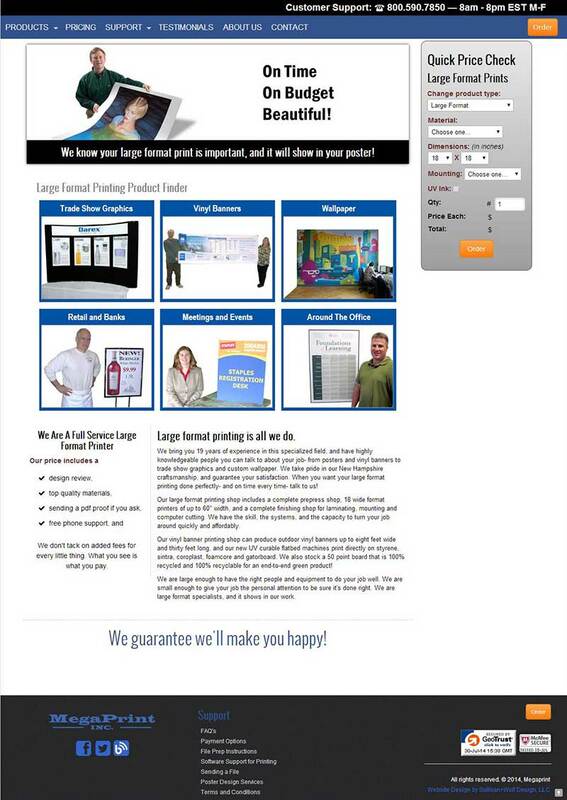 We the re-developed the entire Megaprint line for ordering. This is an extremely comlpex system with many conditionals and checks. It needed to be secure and pass PCI complience with McAffee doing the audits. Written with PHP, MySQL, JQuery and Ajax. The new design features RWD (Responsive Web Design).